David’s note: Oh man Jeremiah you have two of the best traits a Salesforce developer could ever have: 1. Curiosity and 2. Never giving up! Take notes everybody – Jeremiah paid his dues and became a developer in what I consider the best way possible! I hope others will be inspired by you and follow your lead! 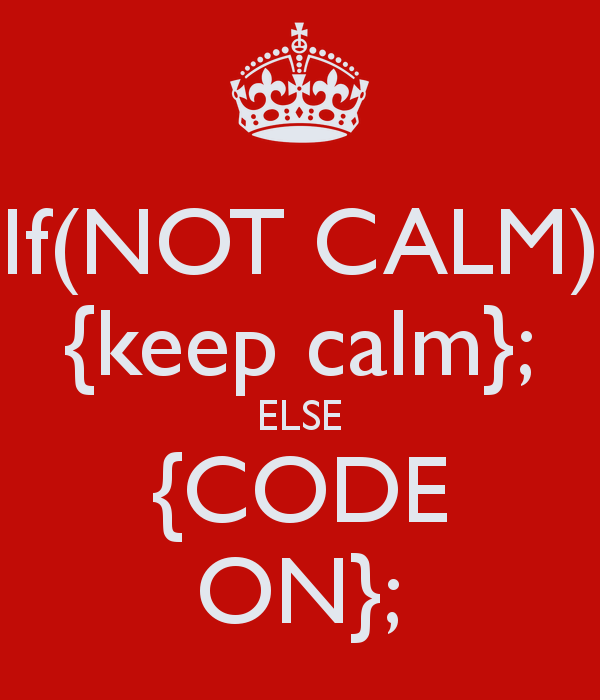 I figured that I’d take the time to tell you how I came to join the awesome Salesforce community and am now writing Apex code and packaging it up on my blog for others to use. Let me just say, I’m an English and French major and I had coded a little bit before in High School. I was told that I was good at it. I, for some reason, didn’t see it being a path that I really wanted to explore as a career at the time. Then something happened…. It all started when I first logged into Salesforce. I had never heard of it as a platform at all. At the time, I was working at a firm that had built their own custom solution for tracking contacts and accounts. They wanted something better since there was a need that it wasn’t meeting. They had looked at several platforms but settled on Salesforce (and I’m glad they did, even though I didn’t know what it had meant for me at the time). We were told by our admin about what Salesforce is. What is a Lead? What is a Contact? What is an Opportunity? All that fun stuff. There were individuals in the group that felt that it was overwhelming to have to learn this on top of their day job and normal workloads. I felt that it was a chance to dive in and get my hands dirty. Mind you, this was in late 2012. I wanted to know everything about it. Pretty soon, people started to come to me for questions about the platform or help making reports. I had become a power user. After a few initiatives and helping connect the people doing the work to the tool, our admin decided to move to a different organization. When he left, he said that I would be a good candidate. 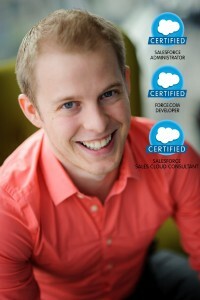 I was so happy, even though I didn’t know what being a Salesforce admin meant. My company sent me to the 201 training class and I learned a heck of a lot. Back then, we didn’t have the ever amazing Trailhead to learn. I came back and realized that a lot of what was being asked for was custom and Salesforce couldn’t accommodate most of the asks without custom code. I felt like this was another opportunity to take my career to the next level (yes, I then started to think of this as a career!). I found some blogs on coding (SFDC99 included), I got some books and I jumped in head first. I built some things in my dev org, broke some limits and really screwed things up (but that’s what they are for!) and most importantly of all kept trying! After a few projects and accepting the challenge of “Can this be done?” with a response of “Hell Yea!” I had learned coding. I’ve learned a lot in the 3 years that I’ve been on the platform and there is still a heck of a lot more left to go. I’ll say that my greatest strength (and sometimes my weakness) is my curiosity. I want to learn how everything works and ticks and that definitely made this process of continuous discovery so much easier. My advice to those of you exploring coding, if I could do it in less than a year and come up with some great things, you can too. 2. The satisfaction of giving up? 3. How you’ll feel when you’ve finished! So my friends, you can do it!